All the blooms are gone from *Just One Lilac Bush*. I caught an insect in the act! Is it a fly? It looks like a fly! This Lilac bush is my inspiration to have many more growing in my garden this summer. Thank you so much for joining me for a colorful start to spring gardening. It is so beautiful! the color is so luscious! I can practically smell that lilac from here! My buds are just starting to form - warm here, shouldn't be too much longer....can't wait! 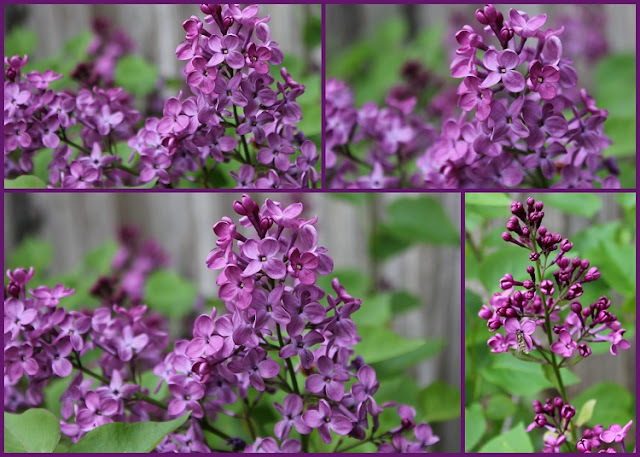 Gorgeous lilacs...sadly ours have gone by until next year...the season is just too short for something so beautiful. 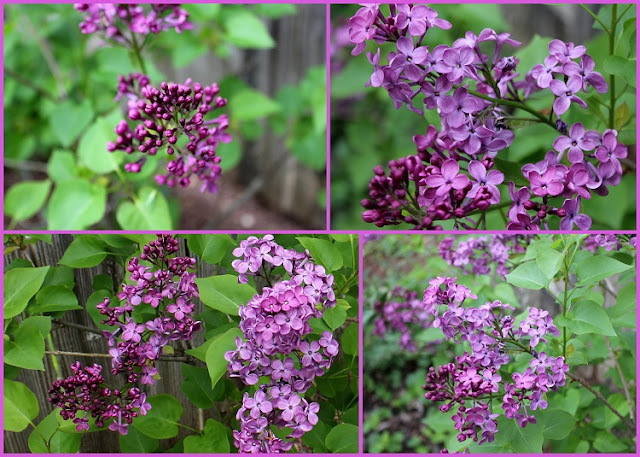 Beautiful lilacs - I can almost smell them through the computer screen. How beautiful. I love lilacs. They're so pretty and they smell wonderful. Great photos! I can almost smell those lilacs from here. Lovely, just lovely blossoms. They are so beautiful and you captured them perfectly well. So bad we don't have this plant in the tropics. Very pretty, Betty! I adore lilacs. I bet the fragrance is divine!